The most fuel-thrifty version of the Toyota Prius, the 2017 Prius Prime, has been rated using the EPA testing at an industry-leading 133 MPGe. That’s a somewhat complex figure based on a series of measurements comparing gasoline and electricity, and it doesn’t actually translate into 133 miles of any sort of range. Instead, 133 MPGe takes into account the Prime’s 25 miles of electric-only range, where its gas engine has been turned off entirely. Previously, Toyota had estimated an electric-only range closer to 22 miles, which would have given the Prius Prime the same MPGe as a version of the BMW i3—124 MPGe. Put succinctly by our sister site Green Car Reports, Miles Per Gallon Equivalent, or MPGe, is a measure of how far a car can travel electrically on the same amount of energy as contained in 1 gallon of gasoline. 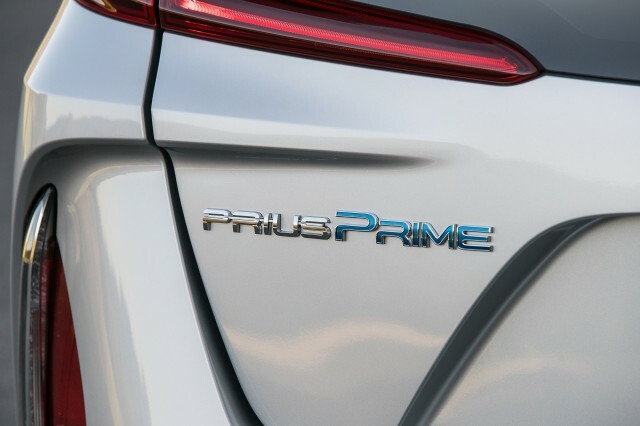 Just what makes the Prius Prime different than its standard Prius siblings? For one, thanks to a much larger lithium-ion battery, it’s capable for motoring at highway speeds on purely electric power, while the standard Prius is limited to lower speeds. Additionally, there are numerous interior and exterior design cues that set the two apart in an effort to gain improved aerodynamics.